If the roof of your mobile home is leaking, or it’s sustained weather damage, you need to decide between patching and replacing. At All Weather Roofing, Inc., we are your Monroe County mobile home roofing specialists, and we have experienced staff who can help you make the decision. For minor damage – meaning that your ceiling doesn’t have unsightly patches and you’re not trying to avoid puddles – patching could give you more leak-free years. For more worrisome damage, when your Monroe County mobile home has to have a roof over, you can rely on All Weather Roofing, Inc. to get the job done. What to Do About a Leak or a Repair? 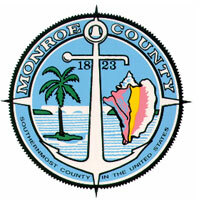 Bear in mind that any Monroe County mobile home roof will have to have a roof over at some point. You can only patch so often, and finally the damage becomes too great. If you feel that you’re not ready to replace, we’ll be happy to patch your roof, but remember that even a bit of leaking means that more problems will occur down the road, and then you’ll need a Monroe County mobile home roof over contractor. Whatever you decide to do, you can trust All Weather Roofing, Inc. – Tampa Bay’s finest mobile home roofing repair contractor. If the roof is severely damaged, no amount of patching is going to be effective. Minor leaks can be sealed with a special compound, but eventually more leaks will occur, and that could compromise the structural integrity of your mobile home. Additionally, mold could develop, and this poses serious health risks. Once mold becomes established, it’s very difficult to get rid of, and the potential for respiratory damage can’t be overstated. If you or someone in your home has asthma, it will get worse. If no one has asthma, mold could actually cause it. For these reasons, if replacing your damaged Monroe County mobile home roofing is in any way workable for you, then realistically, it’s what you should do for the sake of your health and safety. At All Weather Roofing, Inc., we have the perfect solution for your mobile home roof – it’s thermoplastic poly olefin, or TOP. This is a durable product that’s available in the ever-popular classic Non-Pattern White, or if you’d like a change, the Stony Ridge or Sierra Vista shingle pattern. TPO features a lifetime transferable warranty. You’ll also enjoy TPO’s natural cooling properties – most mobile home owners can expect to see their AC costs reduced by approximately 30%. All Weather Roofing, Inc. was established back in 1984, and we intend to be in it for the duration, providing quality service and warranty support. We have an A+ Better Business Bureau rating and very favorable customer reviews that are proof that our reputation as Tampa Bay’s best mobile home roofing contractor is very much deserved. If your Monroe County mobile home roofing has sustained damage, we’ll send one of our trusted representatives to your home to carry out a free video examination. We’ll show you the extent of the damage, and then work with you to find the best solution. Whether it’s repair or replacement, we’ll complete the work in just a few days. Schedule a free mobile home repair estimate, or call us now at 1-800-297-3758. Our customer service team is there for you 24/7 to answer your questions and arrange for your free video inspection.